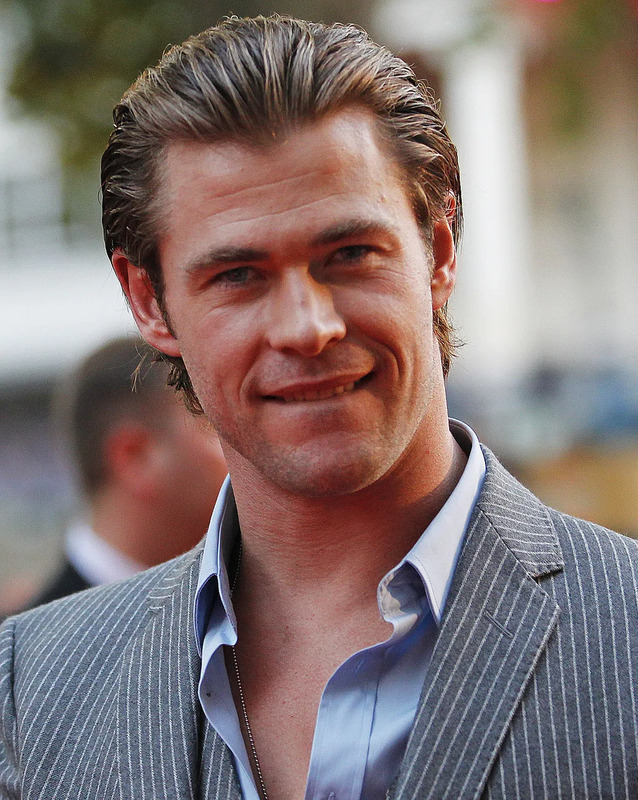 Chris Hemsworth knows how to give you that look. You know, the one he makes when you walk in the room. 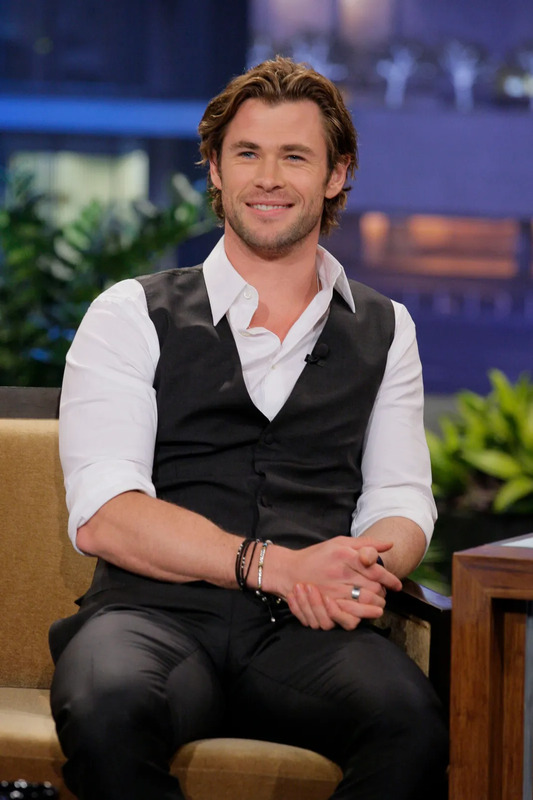 Normally, men wearing V-neck shirts is a major fashion no-no for us. 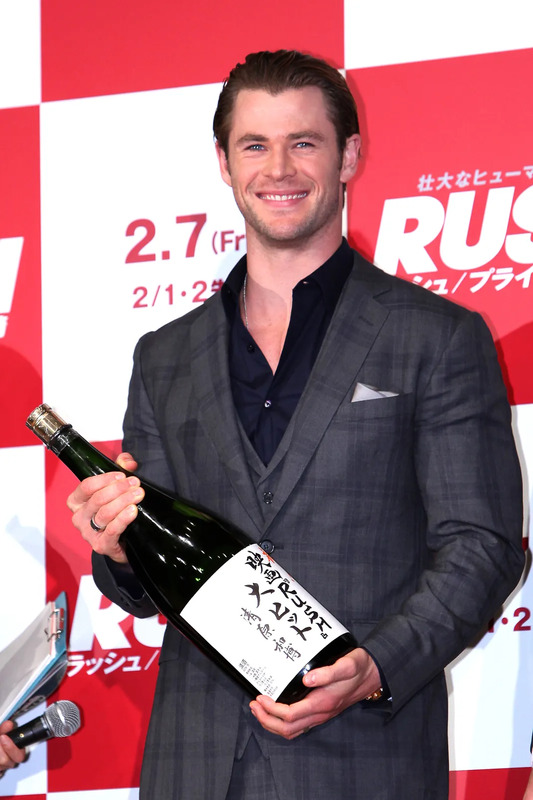 But Hemsworth can do no wrong. He might just be the baby whisperer. I'd love to know how he's keeping her upright. Probably using his godly magic. Taking a quick break on set to stuff his face and he still looks hot. His beautiful accent doesn't exactly translate from a picture. While you gaze upon his face, listen to this. I don't think world is ready for all of this. Is he pumping gas or in the middle of a photo shoot? You be the judge. We really can’t tell. 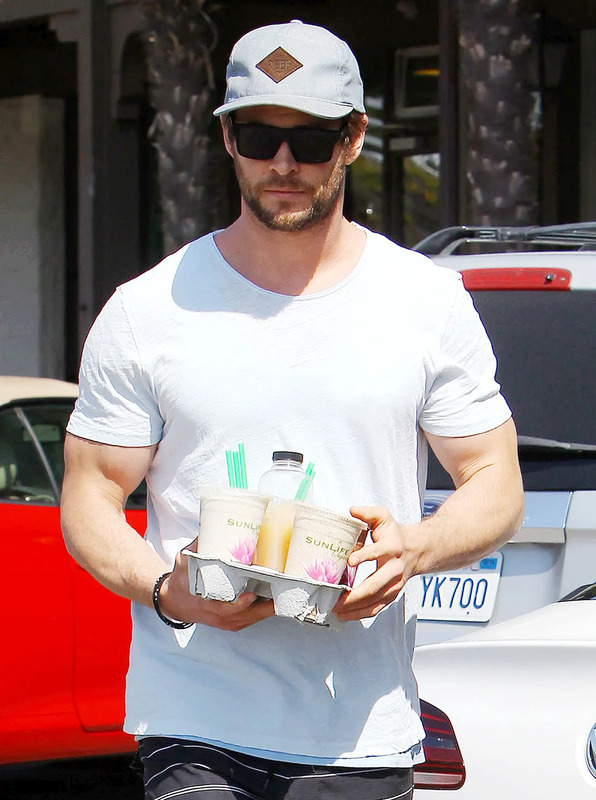 Maybe he’s on a juice cleanse (Thor has to look hot in next year’s Avengers: Age of Ultron) or maybe he just loves juice. Either way, we wish we were that OJ bottle. 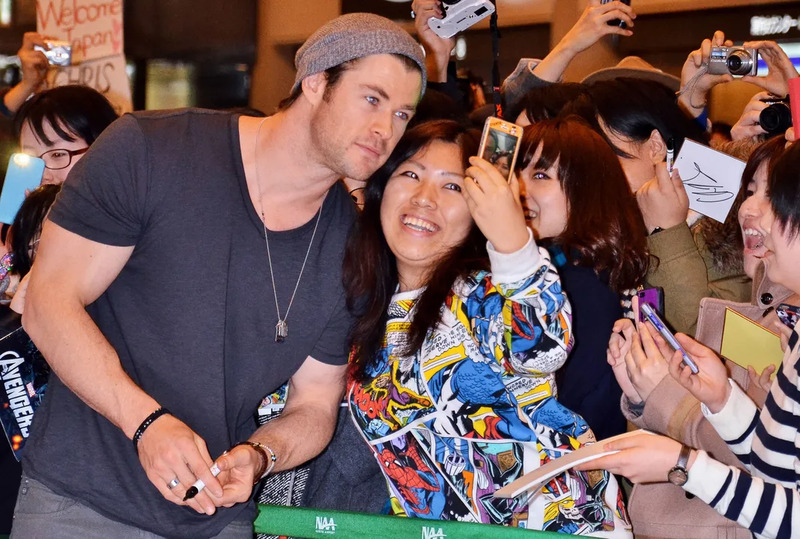 Just looking at this picture, we’ve all connected with Hemsworth on a spiritual level. Imagine receiving this look in person. I'm no surfing judge, but I have seen Johnny Tsunami enough times to assume he'd be a stellar surfer. He's from Australia, they're all good at that, right? That smile could heal the sick. It should be bottled up and sold. Or, sent straight to our office. Either option is good. Hot dads -- holding their babies -- are probably the hottest thing on the planet. We love a good father. 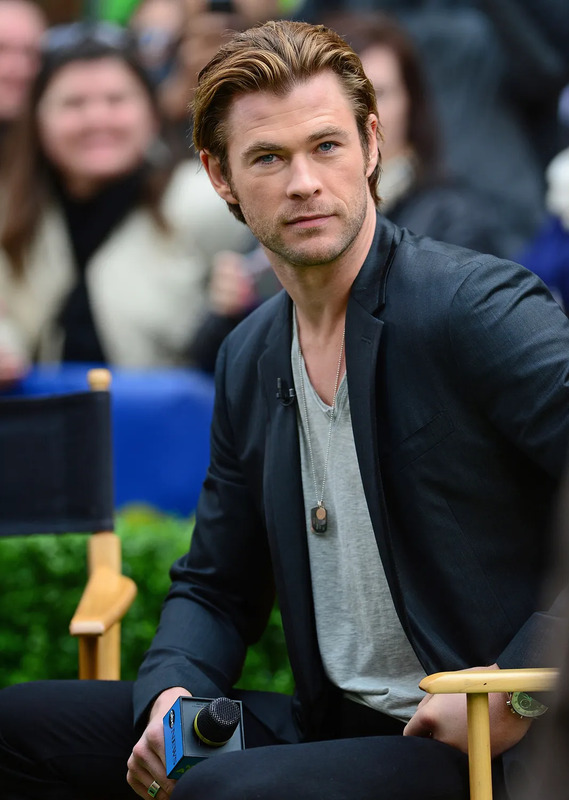 Both sets of buns are not featured here (sadly) but the man bun we do see is flawless. 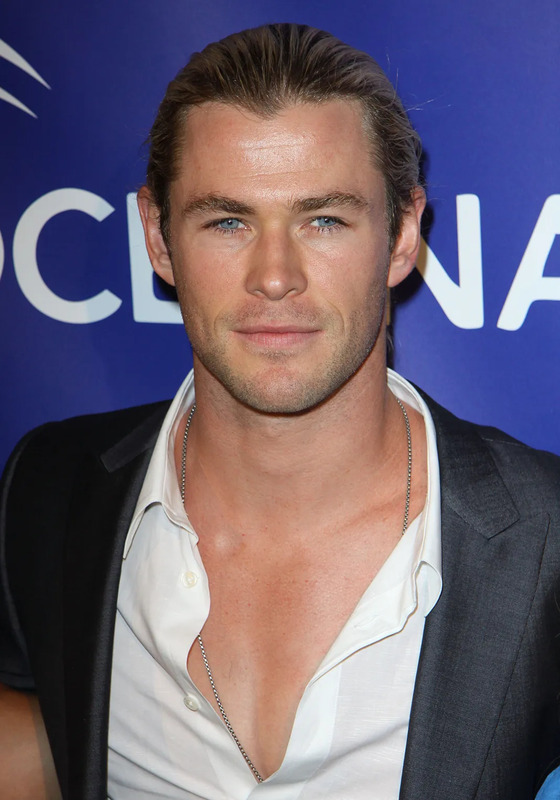 Jared Leto might have been getting a lot of attention for his this year, but Hemsworth's bun is where it's at. 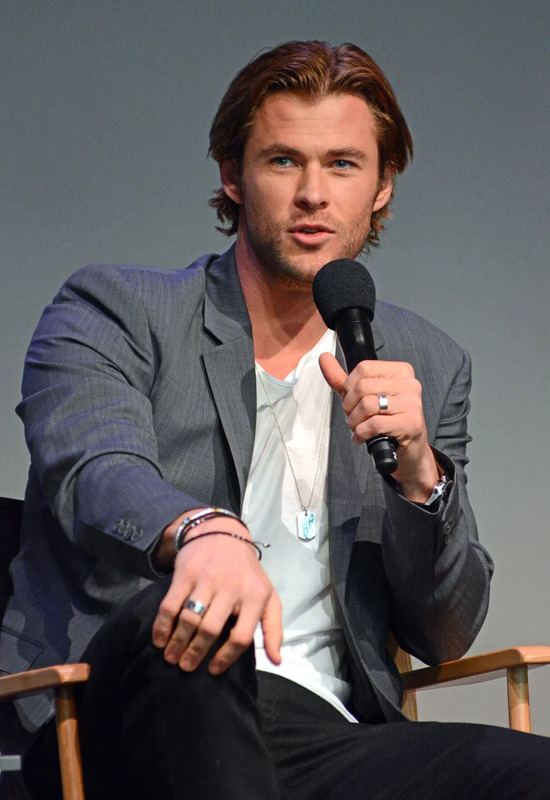 Here we have Hemsworth, posing with Thor’s Mjölnir. 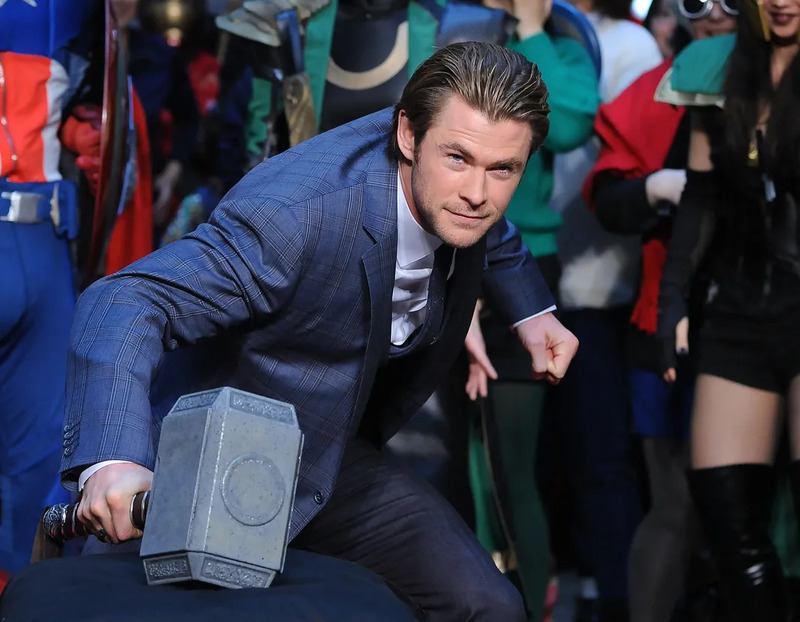 He is quite obviously worthy to carry it. 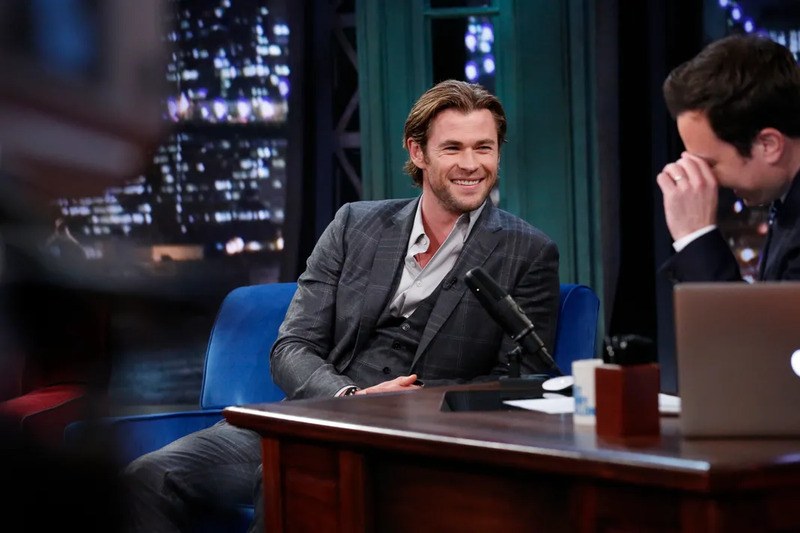 We know that Jimmy Fallon is supposed to be the one making us laugh on the Tonight Show, but Hemsworth stole all the laughs. No one looks good traveling. Yet, here he is with a smile on his perfect face, looking like he's ready to hit a red carpet and not getting off an 18-hour-flight. Is he actually playing football? Who knows. We'd watch him do anything. Have you ever seen eyes so blue? No, you haven't. Because he is special. Sorry for the corniness here, but does he have a permit to carry those guns? 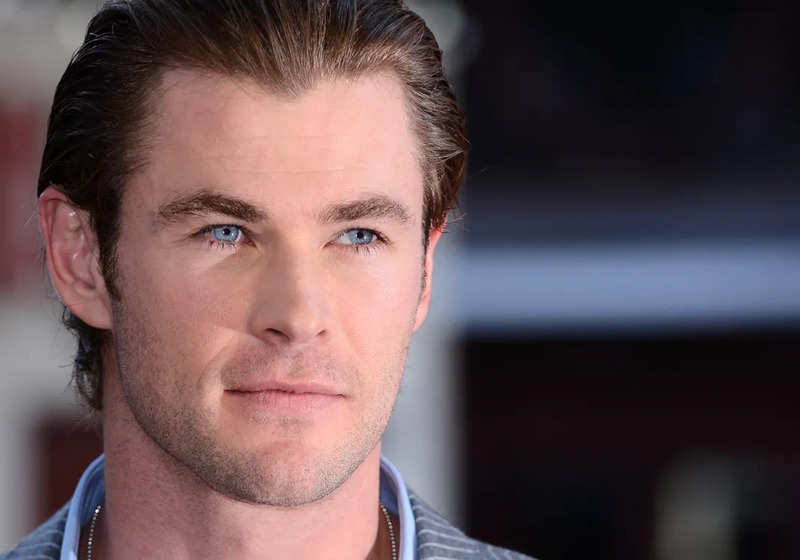 If you expected an embarrassing throwback picture of Hemsworth, shame on you. There is no such thing. He puts the Hulk to shame. If acting ever falls through, he should be a professional baby holder. We're trying to hate Elsa for stealing him from us, but they're just so cute together, we can't. If only we all could look so casually beautiful taking a call. He's got the head tilt and smile locked-in. We doubt he's ever taken a bad selfie. He's so perfect, he actually looks like a wax figure. We had to look at this picture 20 times (for work purposes, obviously) just to make sure this was real. There is not a bad picture of this man out there. Believe us, we checked. Where was this and why were we not invited to join? 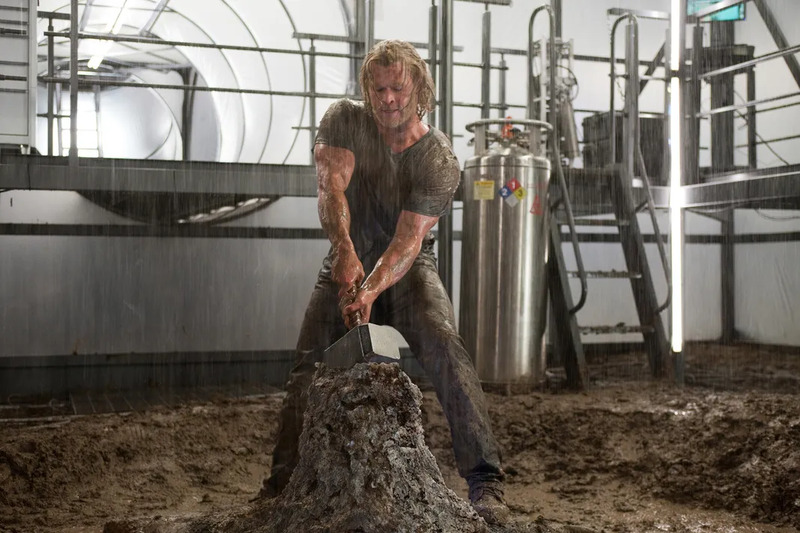 He IS Thor. Case closed. 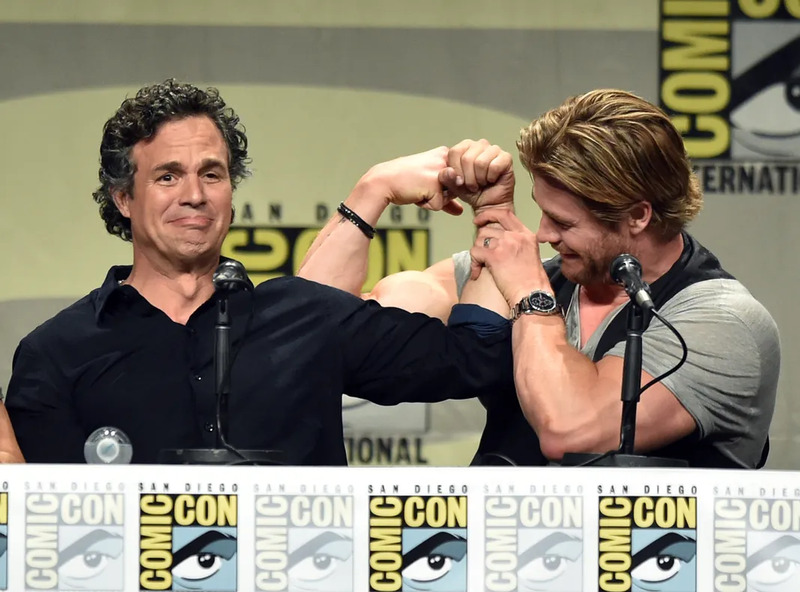 Chris Evans vs. Chis Pratt: Who Is The Hotter Marvel Hero?